All of Hawaii is a paradise, of course, but Kona represents a paradise within a paradise, an ultra-paradise. There’s a reason why Hawaii’s royal leaders often took their vacations here. To get the most out of a trip to Kona, however, it makes sense to stay someplace that rivals the majesty of its surroundings. The WorldMark Kona Resort is just such a place. For the uninitiated, Kona is a district of Hawaii’s Big Island, serviced by the Kona International Airport. Any time of year is exciting here. Kona’s beaches and volcanoes are always stunning, and visitors can always enjoy jet-skiing, golfing and watching out for sea turtles. Snorkeling amidst the mantra-rays is a special pleasure, as mantra-rays are among the loveliest and most genteel of the earth’s creatures. And surely history buffs will want to take in Kona’s temples and churches, and the Hulihee Palace, and Kealakekua Bay State Historical Park, the site where Captain James Cook landed in 1779. Sports fans who want to see human beings put to the ultimate in physical and mental tests should come in October, to witness the Ironman World Championship Triathlon. A list of other significant annual events would include the Billfish Tournament held each July, and the Kona Coffee Festival in November. A word about that coffee is in order: People who truly know coffee will savor Kona’s coffee, widely considered among the best coffee blends on earth. Indeed, the coffee farms here are steeped in beauty. 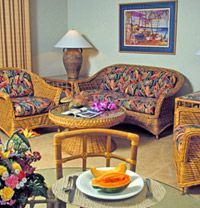 Staying at the RCI award winning WorldMark Resort increases the luxury and delight of a Kona vacation. You will find at this resort a gorgeous swimming pool, a pool for children, a spa, an area for sunbathing and a beach within walking distance, perfect for basking in the glory of sunny Kona days and starry Kona nights. 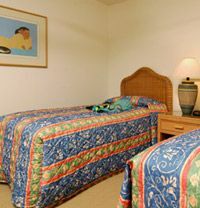 Plus, the resort offers plenty of options for its units, including the option of one bedroom or two, and the choice between a mini-kitchen, partial kitchen or full kitchen. You can also request a unit with high-speed Internet; this Internet will cost just a little extra. And every unit comes equipped with a cable TV, a DVD player and a stereo CD player, ideal for any time when you and your travel companions just feel like relaxing indoors. You may also grill some of your meals using the barbecue on your deck. 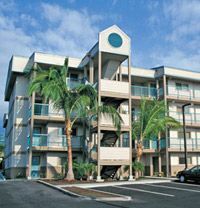 If you want to buy, rent or sell a timeshare at WorldMark Kona, you have come to the right place! BuyATimeshare.com is the leading for-sale, by-owner site that brings buyers and sellers together. If you have any questions about our services, a WorldMark specialist will be happy to answer any questions you may have. 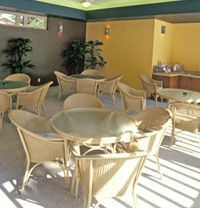 Contact WorldMark Kona Specialist Today! 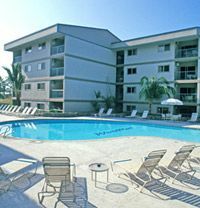 I was able to book 2 two bedroom condos for a week. That was the only way some of my family was going to be able to afford to come to the reunion. Kona is a nice warm location on the Big Island to stay. It's in a great location to take day trips around the island. We took a plane ride out of the airport there and took a tour of the volcano and the island. It was awesome to see the lava shooting into the air, and see rivers of lava flowing thru the jungle. Th. e condo is a very short walk to the beach. With the full kitchen, we were able to cook in our room and save a lot of money. Hawaii is a beautiful island, with beautiful botanical gardens, beaches, mountains and the Volcano National Park. It is an awesome view looking down into the crater from the rim. If I remember correctly, Hawaii has 7 of the 9 climate zones found on Earth. Walking across a lava flow to a black sand beach was very interesting. You could see where the palm trees were as the lava flowed past.